﻿ Do female raccoons make good mothers? 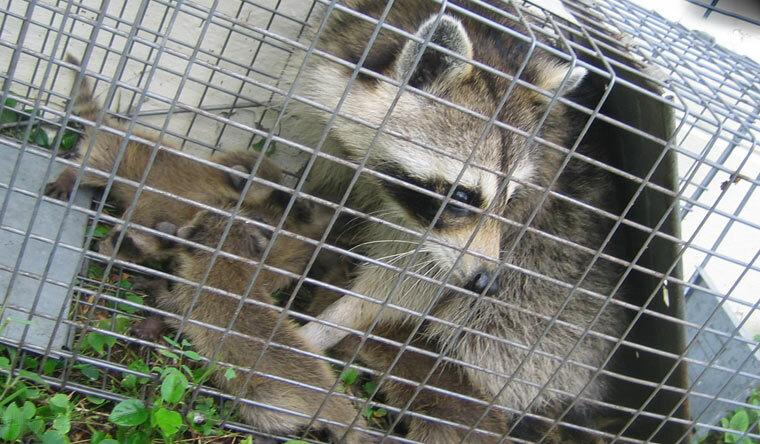 Wildlife Removal Advice - Do female raccoons make good mothers? Do female raccoons make good mothers? When it comes to being a good mother, too often human beings believe that they are the only animals that are capable of such behavior. There seems to be a level of arrogance that has decided that other species of animals simply don't pay the same amount of attention or provide the same amount of concern for their babies as we do. To be honest, that is absolute hogwash. Take the raccoon for example. If you are wondering if female raccoons make good mothers then you should be made aware that they are. Raccoons can make fantastic mothers to their young, providing them with the proper amount of nurturing and care that they need to grow and be able to thrive as adults. From the time that the mother raccoon knows that she is pregnant, she will begin a ritual of trying to prepare a safe and secure place in which her babies can be born. This can mean searching for such places as a person's attic or shed, because she knows that this can provide a safe refuge where she can have the babies and not have to worry about them being disturbed too much of a degree. Once they are born, she will nurse them from her teats so that the babies can get the proper amount of care and nourishment that they need. Baby raccoons, like the babies of most mammals, are quite helpless when they are born and are in need of very tender and significant amount of care. The mother raccoon dedicates herself to ensuring that they do get the care and concern that they need. Learn whether or not raccoons hibernate. As the babies grow older, she continues to watch over them as they start to develop hair and claws. She will assist them to be able to learn how to trap and capture food, how to avoid predators, and also prepare them for other aspects of adulthood. When they are ready to leave, the mother sends them on their way fully aware that she has prepared them to be able to move out into the wilderness. While some may find it calloused that she does not continue to stay in touch with them or to keep them as part of her family, the truth is that this is not an instinctual behavior of the mother raccoon. She will care for the animals and tell they are old enough to be able to care for themselves, and then her work is done. The next year, she will prepare to have another set of young. She will go through the entire process of bringing them into this world, caring for them, and releasing them out on their own once they have become adults. It is the circle of life that helps to keep the raccoon population moving forward, and demonstrates that mother raccoons are not only good in helping their babies to prepare for the future, but also in knowing that they have done the right things for their babies to be able to succeed once they become adults.